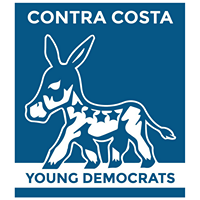 I am running for Contra Costa County Board of Education for Area 5. Area 5 serves Bethel Island, Clyde, Knightsen, Oakley, and parts of Antioch, Bay Point, Brentwood, and Pittsburg. I have 21 years of experience as a PTA leader and volunteer in Contra Costa County schools advocating for all students and education. I currently work as a substitute teacher. After graduating from California State University Chico with a degree in Psychology and Minors in Collective Bargaining and Business I moved to Oakley where I live with my husband Jim and have been an active community members for over 30 years. Our two adult children Sarah and James attended Oakley Schools and Graduated from Freedom High School. As your representative I will work diligently and collaboratively to uphold the Mission and Goals of the Board of Education. I will study and analyze all matters brought to the board for consideration. I will advocate for safe schools for all students and educational equity and excellence in our public schools. I will promote the programs of the Contra Costa County Office of Education and public education and work to increase parent, business and community involvement and awareness of the programs and services offered. My priority will be the needs of all the students and families served. My mission has always been to work to ensure all children have the best opportunities to achieve their goals. I bring experience in board procedures, consensus building and teamwork. My experiences advocating for children, education and families sets me apart and I ask you to vote for me as your Contra Costa County Board of Education member.